QUESTION: Can Mueller indict Trump? You seem to be astute when it comes to constitutional law. ANSWER: During the Clinton era, we had independent counsel Kenneth Starr. Because Starr was an independent counsel, the argument was that he could indict Bill Clinton. Because of that legal question, the statue which authorized the creation of independent counsel was allowed to expire. Granted, some argue that there is nothing in the Constitution that would bar a federal grand jury from returning criminal charges against a sitting president for committing a serious felony. I am not entirely convinced that the absence of specific prohibition is an endorsement of the existence of such a power. “When a statute limits a thing to be done in a particular mode, it includes a negative of any other mode.” Raleigh & Gaston R. Co. v. Reid, 13 Wall. 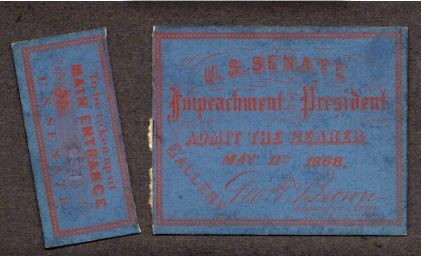 269, 270 (1872). In this case, those who support indicting Trump argue that there is no prohibition and therefore that opens the door to indict. 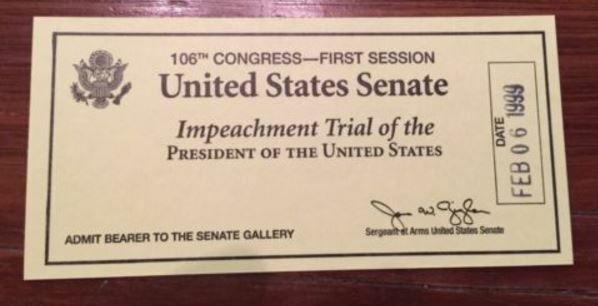 The Constitution expressly states that any trial of a President must be in the Senate. That would preclude the normal channels of criminal law including a Grand Jury. Nevertheless, the criminal prosecution of anyone must be clearly defined and specified in advance by statute to provide notice that if you do this then that will result. “An indefinite criminal statute creates an opportunity for the misuse of government power” US v Handakas, 286 F3d 92, 107-108 (2nd Cir 2002). whether a court may compel the President’s attendance at any specific time or place. Pp. 689-692. The Supreme Court previously held that a sitting President is subject to judicial process in appropriate circumstances. Thomas Jefferson disagreed with then Chief Justice Marshall, who presided over the treason trial of Aaron Burr and ruled that a subpoena duces tecum could be directed to the President. US v. Burr, 25 F. Cas. 30 (No. 14,692d) (CC Va. 1807). The Supreme Court upheld that precedent ruling that President Nixon was obligated to comply with a subpoena commanding him to produce certain tape recordings of his conversations with his aides, US v. Nixon, 418 U. S. 683 (1974). Turning to the question of whether the Constitution bars indictment of a sitting president, there is no previous case that is directly on point. If we look at the debates of the Framers we can see that they did provide for a trial on a felony but only by Congress. They expressly stated: “Senate shall have the sole Power.” That would preclude any Grand Jury indictment. The Constitution does not provide blanket immunity for a sitting President. Members of Congress enjoy “privilege from arrest” in civil cases when going to and from Congress and may not be criminally prosecuted for “any speech or debate” in Congress. Clearly, the President can be subpoenaed for the production of evidence and he can be deposed in a civil suit. However, there is more than just a subtle difference between Starr investigating Clinton and Mueller going after Trump. When Clinton was nearing vacating office, the Justice Department’s Office of Legal Counsel ruled that the President could NOT be indicted. This actually restrains Mueller right now. There is a significant difference between the Clinton prosecution and the immediate action to try to bring down Trump for the bureaucrats. Starr served as independent counsel under a statute that expired. Special counsel Robert Mueller serves directly under Justice Department regulations put in place after the independent counsel law expired. The difference is that Clinton could not fire Starr and Starr could indict Clinton, but that was probably unconstitutional. Mueller’s power is under the Department of Justice and that means he is NOT independent and Trump could fire anyone who tried to indict him. The precedent of more than 100 years makes it very clear that that the President retains complete authority to control federal criminal prosecutions. 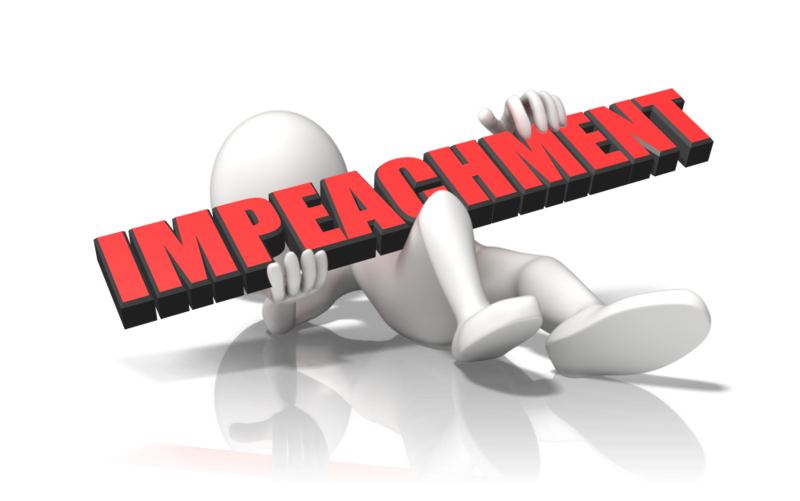 Legally, Trump could fire Mueller but then Congress would probably act to impeach Trump. Regulations that Mueller must comply with make it clear that he must obey “the rules, regulations, procedures, practices, and policies of the Department of Justice.” He can be removed for “good cause, including violation of Departmental policies.” Therefore, Mueller cannot indict Trump based upon internal rules alone. In my “opinion” we have the internal rules that prohibit Mueller from indicting Trump. 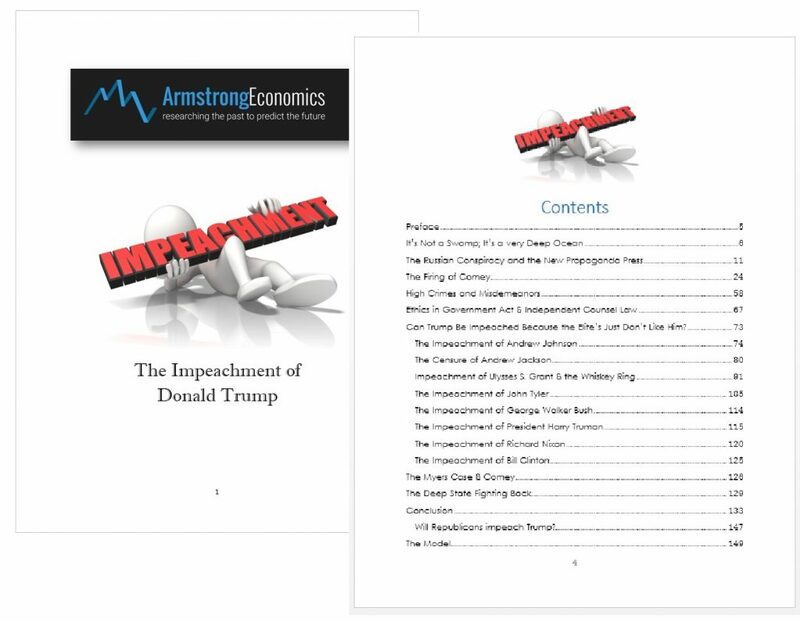 However, my reading of the Constitution and the debated behind Article II, Section 4 and Article I, Section 3, means that Mueller at best can only recommend impeachment to Congress and it is their EXCLUSIVE domain to impeach and put a President on trial. They cannot imprisonment him and their power is limited to removing him from office. This would be my legal argument against Mueller if he dared to try to indict Trump. He is a power hungry and vindictive person out to protect the FBI and the rest of the bureaucrats and that makes him very dangerous.